An inmate who just entered an Ohio jail was accidentally released due to a case of mistaken identity. Authorities have launched a manhunt to bring him back to jail and have opened their dragnet to include Michigan. 28-year-old Don Woodson Ellis, Jr. was arrested on Monday for a bank robbery in Toledo. 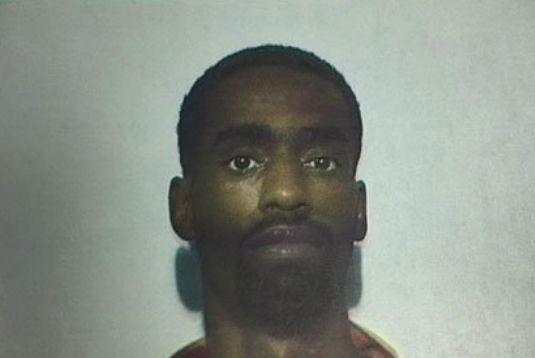 He was able to escape prison after he used an ID bracelet at the Lucas County Corrections Center belonging to another inmate named Antoine Moore. Moore happened to be scheduled for release on a small bond, making it easier for Ellis to pretend he was Moore and left the facility Wednesday night. The police said no one knew Ellis was missing until Thursday morning. The FBI is leading the manhunt for Ellis, with help from Lucas County Sheriff's Office and Toledo Crime Stoppers. Officials stressed that Ellis "should be considered dangerous.” They are also offering a reward for anyone who can help them apprehend the suspect. Authorities believe Ellis could be targeting to hide in some major cities in the region such as Columbus, Cleveland or Detroit, and not just necessarily Michigan. Luettke said they gave it a broader net than that. Anyone who sees Ellis or has helpful information should immediately call the Lucas County Sheriff's office at (419) 243-5111 or Toledo Crime Stoppers at (419) 255-1111. I have information on a woman named Hillary R Clinton and her illegal handling of classified info and theft of our property by storing said info on an unsecured server in her home. She also was in possession of SAP’s that shouldn’t have been on any network outside a skif let alone on an unsecured server in her home. We the people want our FBI to look into this just like if her name was Don Woodson, and give her a similar sentence he would get if he did what she did. I would also like to know how the SAP’s “jumped the air gap” in the skif and ended up in her possession? You can't deny it, that took intelligence to pull off.